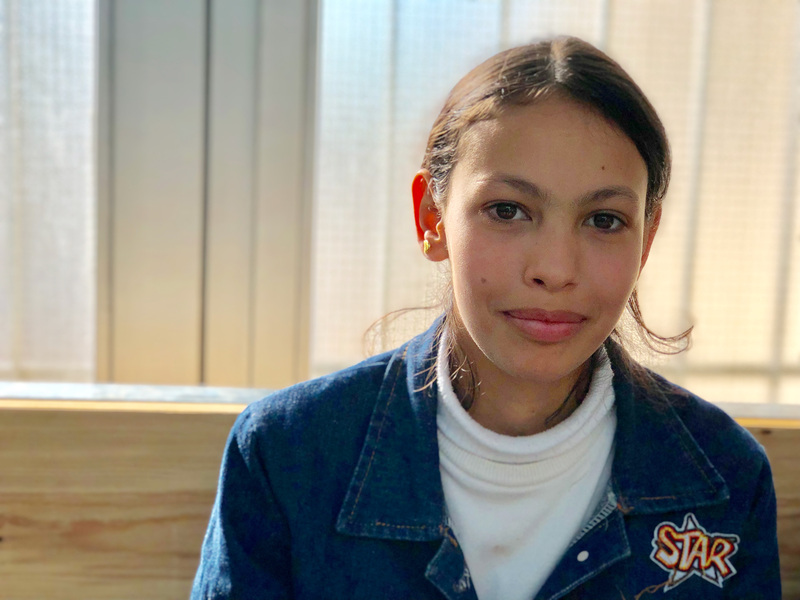 When Ayah began her vision screening at our Jordan OneSight clinic, she cried at the visual acuities station because she was scared and because it was her first time in a hospital. She also could not see anything on the chart which was 20ft away. She lives with her grandmother who first began noticing Ayah could not see well because of how close she holds her books to her face while reading. Despite her vision issues, she is top of her class and enjoys studying English. 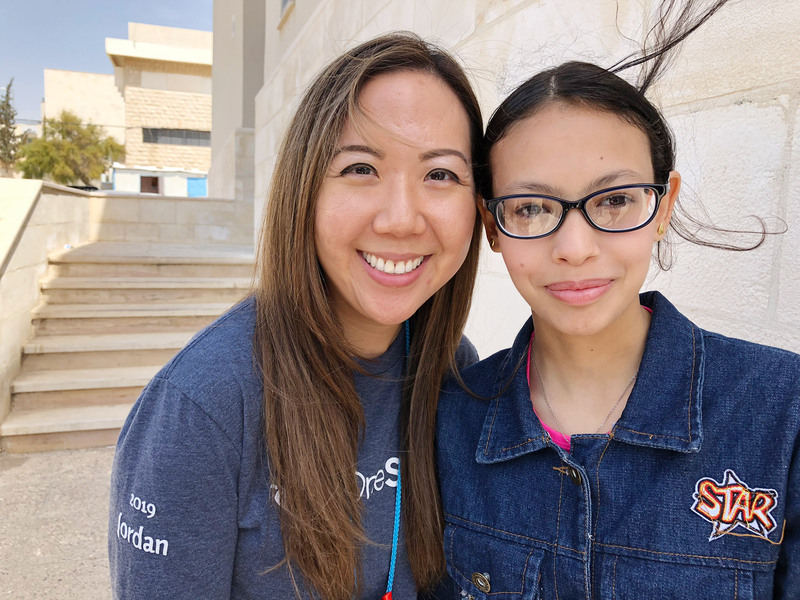 She wants to be a doctor when she grows up and when asked why she said, “to help people because I don’t want people to be in pain, but to be happy.” Despite her vision issues, her mom describes her as “smart” as she is the top student in her school. 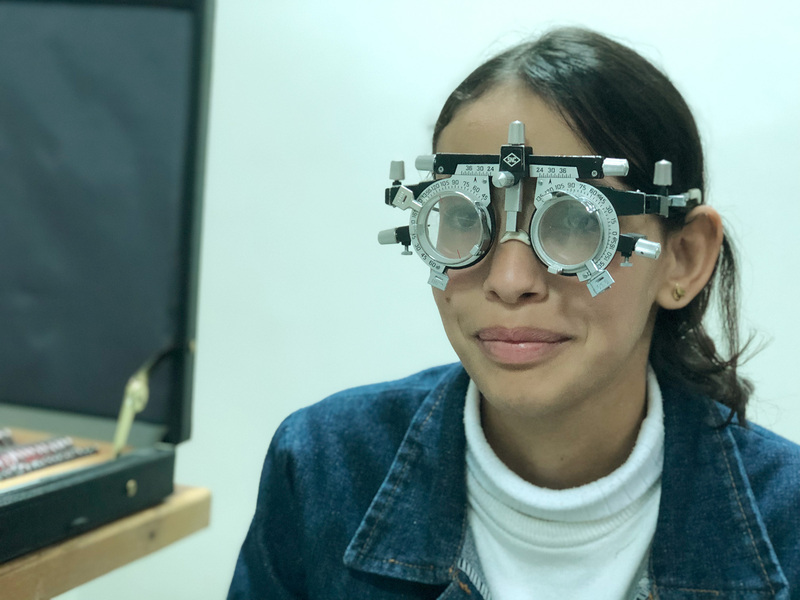 Amal received her first pair of glasses at 13 years old with a -7.00 total power in her right eye and a -6.50 total power in her left eye. We know she will be empowered by the sight she has received and her vision will not ever have to be a barrier to her future success! 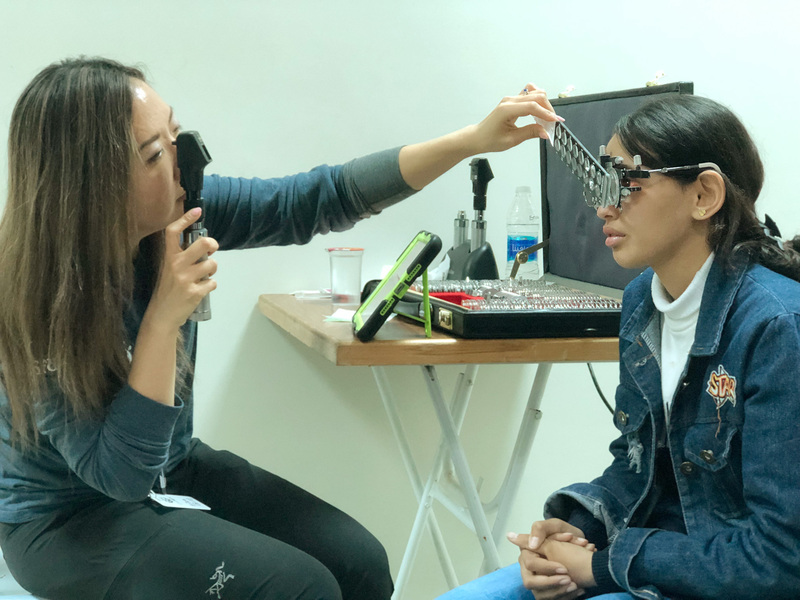 Join us in bringing eye care to Jordan and beyond. Just $10 helps provide glasses to someone in need.